With the rapid evolution of technology and growing competition, having the right cloud strategy is essential in today’s marketplace. This presentation led by Cloud9 CEO Robert Chandler will focus on how a customized virtual server will facilitate your business’s ability to work more productively and securely in the cloud. …– Learn how cloud computing will increase your profits & efficiencies. …– Understanding cloud security and flexibility for your business. …– Best practices for cloud implementation. Robert J. Chandler is the President/CEO of Cloud9 Real Time and is a sought after consultant for Accounting Technology firms and services. 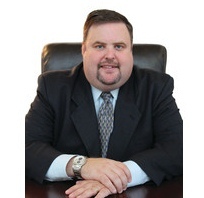 He is a leading national advocate of modern accounting methods and Cloud computing advancements for an aging industry. Awarded the Top Expert for 2012 Small Business Influencer awards in Cloud, as well as the Top 40 Under 40 award by CPA Practice Advisor Magazine in 2007, 2008 and 2010. The author of Together in the Cloud an informative “how-to” guide that teaches not only about Cloud technologies but how to implement successfully. CPAwebengage, Inc is registered with the National Association of State Boards of Accountancy (NASBA) as a sponsor of continuing professional education on the National Registry of CPE Sponsors. State boards of accountancy have final authority on the acceptance of individual courses for CPE credit. 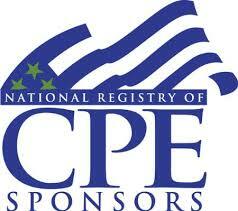 Complaints regarding registered sponsors may be submitted to the National Registry of CPE Sponsors through its website: www.learningmarket.org. The Sleeter Group is dedicated to helping accountants and small businesses work together by using the most innovative and tested tools/systems to generate greater efficiencies and higher profits. The Sleeter Group provides reference books, webinars, seminars, annual Accounting Solutions Conference & Tradeshow, QuickBooks consultant certification program, practice management tools, QuickBooks teaching systems, QuickBooks assessment exams, restaurant accounting system, and blog.